I’ve said some version of this statement more times than I can remember. I’m not the only one. Apparently, the phrase is common enough that people thought it was worth putting on a t-shirt! Or a sweatshirt, or a tank top. Search “I can’t I have dance” on Amazon and you’ll get 20 pages of results. A fellow ballroom student commented on my last blog post, asking if I ever found myself arranging or even rearranging my schedule around my teacher’s availability and withdrawing from things and people I would normally spend time with, just so I could get my dance fix. After reading my articles on the pro-am relationship, one of my readers asked if I would write about how the relationship between a student and their ballroom instructor might affect relationships outside of the ballroom. He noted that a lot of the students at his studio came to ballroom after a romantic relationship had ended. Ballroom has helped heal a lot of emotional wounds for them. 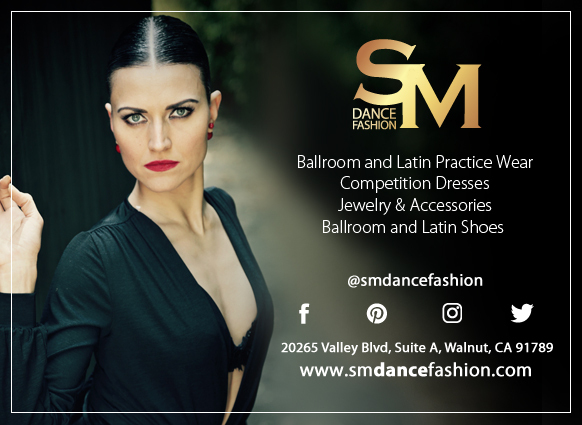 It makes sense; a ballroom studio and a good teacher provide a safe arena in which someone can start to trust and connect with another person again. So what happens when you start looking for a new romantic partner? How does your connection with a dance partner affect your connection with potential life partners? How do your expectations change? How does your approach change? I took extra time to think about this topic because there are so many different layers to explore. The more I pondered, the more there was to ponder. I reached out to other ballroom dancers to get their insight. And still I am having trouble coming up with a clear outline or angle. So I said screw it, just start writing and see where it goes! Happy Tango Tuesday everyone! I’m excited to present another episode of Ask the Girl. This week’s episode is in response to a reader who takes lessons through an Arthur Murray studio. He was wondering how other ballroom circles organized events like competitions and how you would find out about and choose which competitions to attend. And yes, I recognize the amusing timing as this topic comes up right after my article on setting non-competition goals when you can’t afford to compete was published. But that’s the whole point! The readers control the content! So let’s forget I’m ballroom poor for a minute and pretend I need to decide which competition I’m attending next! With the year nearly over, there is no shortage of goal-setting talk and new year’s resolution discussion. Some like making resolutions, some purposely avoid them. Others prefer to set goals rather than resolutions. I fall in the “set goals” category. I think it’s important for my ballroom dancing and the rest of my life to think about where I want to go because that will determine more immediate actions. So for this last Ask the Girl episode of 2015, I present to you my goals for the new year. A fellow ballroom student, thinking about getting back into competing after several years, asked me for a refresher on what expenses she needed to account for as she budgeted for a comeback. It’s great timing as the new year brings a whole new cycle of ballroom competitions to enter. So for any other pro-am ballroom dancers gearing up for a competitive 2016, here is a quick breakdown of what you’ll need to include in your budget. Note this list is based on my experience with NDCA competitions. Ask the Girl Episode 5 – Why Do I Do This to Myself? Today’s Ask the Girl episode was inspired by a conversation I had with the creator of freeballroomlessons.com. He specializes in teaching social-level ballroom dancing, but used to dance competitively. We were talking about how expensive ballroom competitions are, especially for a pro-am student like myself, and about the emotional rollercoasters that competing in ballroom puts me on. He wondered, with all of the financial and emotional stress involved in competition, why do I do it? It’s Tuesday again and I’ve got another Ask the Girl post for you! I don’t know about you, but I had a rough Monday. If there is such a thing as a case of the Mondays, I had it bad! But I survived to write again. Today’s question came from one of my Instagram followers! She just started dancing and competing in pro-am ballroom with a pro who also happens to be a good friend. Their connection outside of dance makes their connection and performance on the dance floor really strong, but she has also found that it sometimes causes extra heartache and disappointment. She wanted to know how I found my dance partner and how I knew he was the one to stick with. Is there any pro-am dancer out there who hasn’t experienced the odd mix of joy and pain that is ballroom dancing? I doubt it. I didn’t get any new questions for today’s episode, so I went back into my emails to see what people have contacted me about before I started this series. The most recent question was from Nick; he just started blogging about his own ballroom journey here: http://theballroomjourney.com. He asked how I fit in ballroom practice with work and the rest of my life. Since I had been thinking about doing a “how I practice” post anyway, it seemed like a good topic for this week’s “Ask the Girl” post! Ask the Girl Episode 2 – When is Enough, Enough? Welcome to the second episode of Ask the Girl! If you have a question or topic that you would like me to address, leave it in the comments or contact me directly. I’m excited to hear from you! When do you know that enough is enough? Is it totally ok to simply dance without a longterm goal of competing? Or do these types of dancers typically just need a great coach to build up their belief that they can trust their passion and set competition goals?